First of all can I say how much better my Ruby handles with your original Ruby pattern 400/425X17 Longstone tyres rather than the previous Waymasters. It no longer squeals on fast cornering and the wear rate is much better too. I’ve had my Ruby for over 10 years now and covered 31,000 miles. Unfortunately it suffered a broken crank in Austria last year and I’ve just finished rebuilding the engine. I persuaded the wife that it would be a good idea to have a second car for such emergencies and she fell for it, so we now have a Pearl as her stablemate. Some years ago we recognised that there wasn’t actually a really good tyre available for the Austin 7 Pearl or Ruby. The earlier Austin 7's had been catered for by the Avon Sidecar tyre, which was a good Austin 7 tyre because of the carcass sidewall strengh. Then things got even better for these lovely little cars when the 350X19 Longstone was produced. Not only did the 350X19 Longstone handle as well as the Avon Sidecar tyre, the carcass was designed to compliment a small car, while at the same time displaying a tread pattern that looked just like the tyres the little Austin left the factory with. You can see above in the picture of the fabulous Twin Cam Austin that it is using the same tread pattern that was used to design the tread on the Longstone 400X17 Austin Ruby tyres. Via our own interests in our Austin 7's we were able to get hold of an original Ruby tyre (the Austin Seven Ruby and Austin Seven Pearl both fit the same tyre). This original tyre which you can see in this picture above was then fitted to a 17” Ruby wheel and sent to the manufacturer, who was able to produce a tyre that looks just like it did in period. To us, as keen Austin 7 drivers the drive of the car is the most critical issue. Our experience with getting the carcass structure right so you could give the car the best directional stability possible payed off with our Ruby tyre as it had with our earlier 350X19 Vintage Austin 7 tyre. 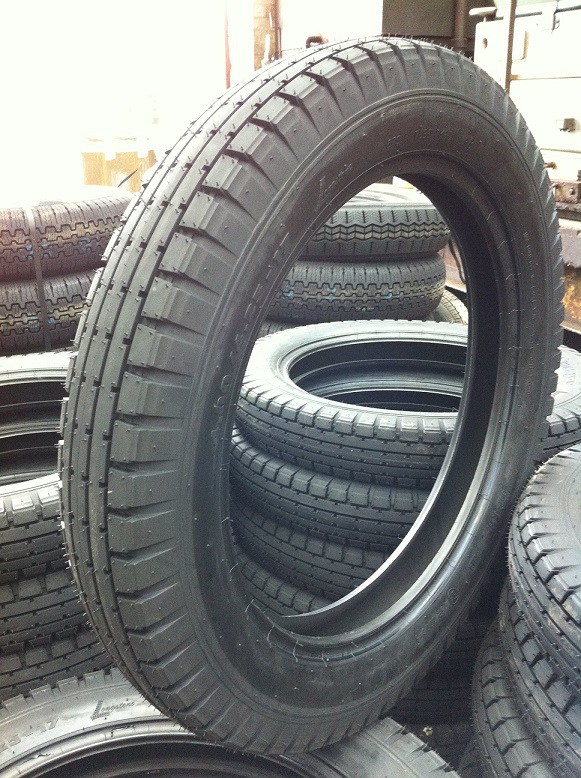 But by making our own brand tyre meant we could make it look right as well as drive the way it should. 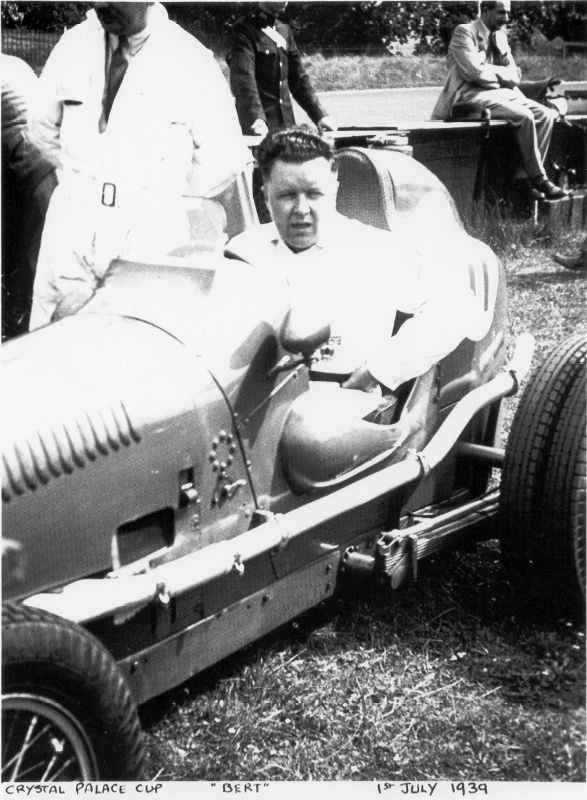 Bert in his Twin Cam Austin fitting the standard Austin 7 Ruby tyres at Chrystal Palace back in 1939. 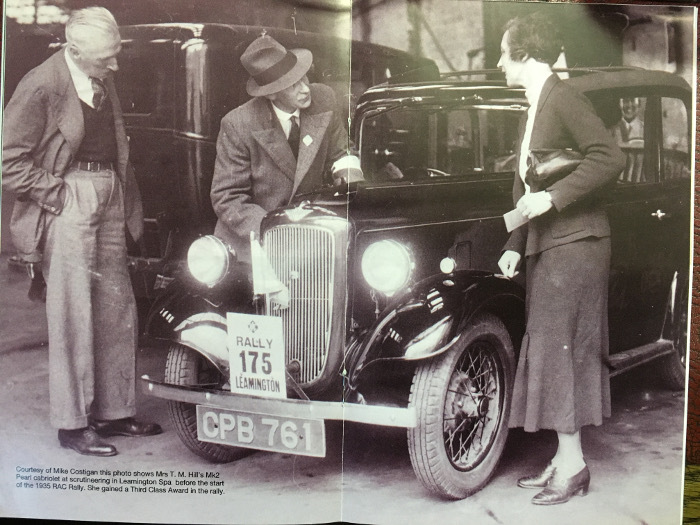 This picture shows Mrs T. M. Hill in the scrutineering bay in Leamington Spa where she went on to win a 3rd class award in the 1935 RAC rally. What is also relevant to us is that she has the same tread pattern on her tyres as current 400/425x17 Longstone Tyre that we make for the Austin 7 Ruby and Pearl.